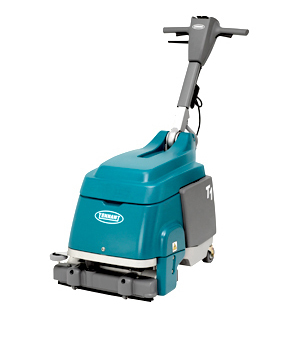 Tennant’s T1 Walk Behind Micro Scrubber cleans in compact areas quietly and easily. Insta-Adjust™ handle and ergonomic grips help create a more comfortable cleaning experience. 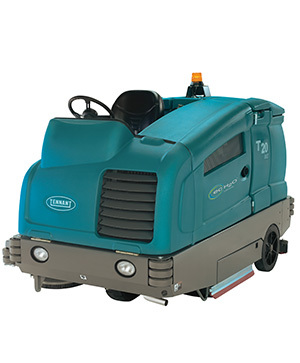 Tennant’s T2 compact battery powered walk behind scrubber is the perfect piece of cleaning equipment that cleans quietly and meets your budget. 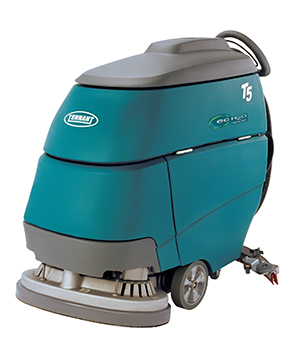 Clean large and small floors with the mid sized T5 floor scrubber. Add one of Tennant’s innovative ec-H2O NanoClean® or FaST® scrubbing technologies to reduce water and detergent use. 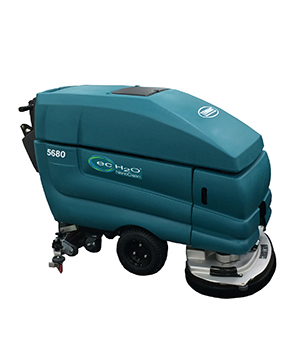 The 5680 walk behind floor scrubber can improve cleaning productivity for operators. 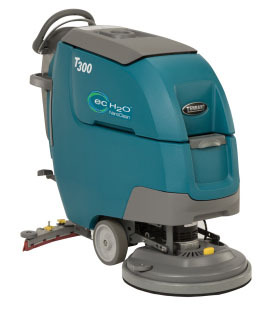 Add Tennant’s ec-H2O NanoClean® or FaST® scrubbing technologies and reduce water and detergent use in your environment. Delivering high performance, consistent results for virtually any hard surface condition while lowering cleaning costs. Deliver predictable results, extend machine life, and reduce cost of ownership with a suite of innovative technologies. 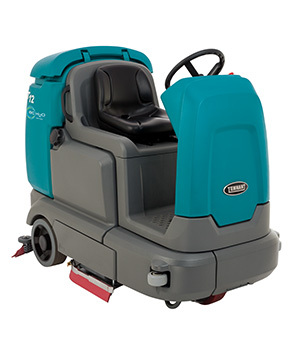 Whether you have a large area to clean or tight, small spaces that need to be scrubbed out, the range of Tennant scrubbers exclusively available from Goscor is there to help you get the job done with ease. 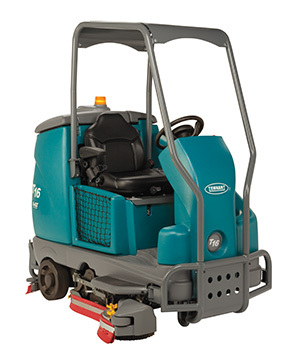 Choose from walk-behind scrubbers for smaller jobs, or ride-on scrubbers for scrubbing larger areas. These scrubbers are designed to work indoors or outside. No matter which type of scrubber you choose, you’ll get amazing features that will meet your requirements and provide an ultimate cleaning solution. 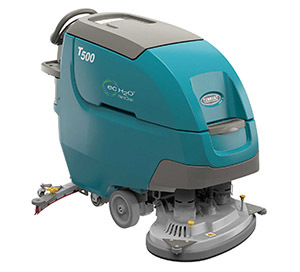 Each of Tennant’s models allow you to choose between the innovative ec-H2O chemical-free cleaning technology and the fact foam activated scrubbing technology. Either way you choose, each is economical and easy on the environment. All of these machines are guaranteed to increase productivity while keeping you comfortable during the toughest scrubbing jobs. 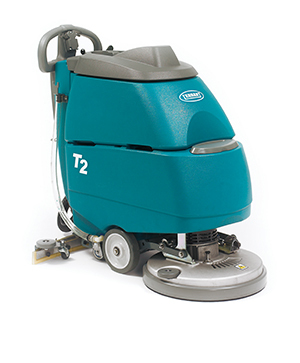 Tennant’s range of walk-behind scrubbers include the T1 – 1140m2, T2 – 1720m2, 2000 m2, 2400 m2, and 3200 m2. The models are named for the amount of space they can cover. Each comes with special features to meet any of your requirements. 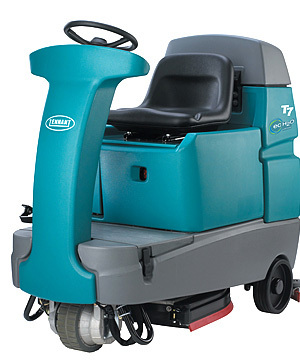 For even bigger and tougher jobs, choose from the T7 – 3200 m2, T12 – 3200 m2, T16 – 4550 m2, 5100 m2 and T20 – 5885 m2 ride-on scrubbers. 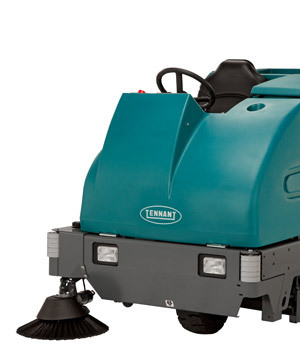 These heavy-duty scrubbers are extremely comfortable and easy to maneuver. They won’t let you down even during the most difficult cleaning jobs you can imagine. When you purchase equipment from Goscor, you will always receive the highest quality and best efficiency on the market today. Combine the quality of the equipment with world class service by a professional and experienced team of factory trained technicians and you can’t go wrong. Goscor has been on a mission since 1984 to become the number one supplier of world class industrial equipment, and they strive to live up to that vision every day.